The New Zealand Defence Force is now looking for a new military transport aicraft as part of the $20 billion plan to modernise the fleet. 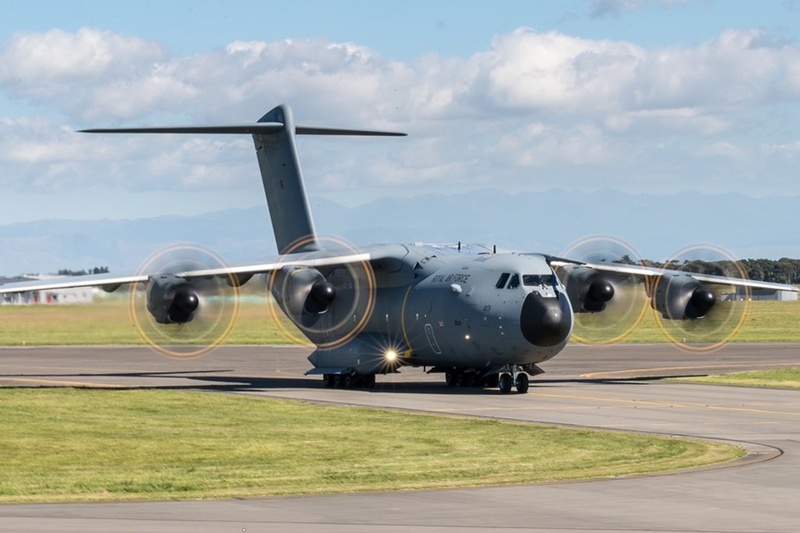 An Airbus A400M arrived yesterday at Wellington Airport, New Zealand. It's the first appearance of the military transport aircraft in the country. It cames from RAF Brize Norton Air Base, home of the 70 Squadron. The Atlas will be on static display at Ohakea Air Tattoo next weekend, a big air show to celebrate 80 years of service to New Zealand by the RNZAF as an independent armed service. “It is great to have this last piece of the puzzle at our air show. We are very pleased to have the RAF share this fabulous event with us. 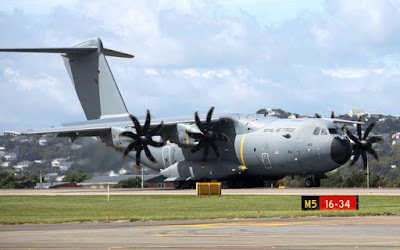 We know the A400M Atlas will be a very popular aircraft with the public and our own Air Force personnel” Ohakea Base Commander Group Captain Nick Olney said. Surely the presence of the aircraft to the event is related to the intention of New Zealand to replace the current 50-years-old Hercules fleet. The Defence Force published in June the acquisition plan to replace the cargo fleet as well as the Boeing 757, the Orion maritime patrol control aircraft and the ANZAC frigates over the next 15 years. While the A400 was larger and faster than the Hercules, it came with a hefty price tag - a single plane cost about $200 million. Among other uses, the plane can deliver large amounts of cargo and supplies as well as drop paratroopers. Today nine nations have acquired the A400M: Germany, France, Spain, UK, Turkey, Belgium, Luxembourg, Malaysia and Indonesia.